Shelby Stephenson was appointed by Governor Pat McCrory in February, 2015 to a two-year term which was extended through the end of 2017. He is the current poet laureate of North Carolina. Educated at UNC Chapel Hill, University of Pittsburgh, and the University of Wisconsin-Madison, he is professor emeritus at UNC Pembroke, and served as editor of the international literary journal Pembroke Magazine from 1979 until his retirement in 2010. He has published more than ten collections of poetry. His awards include the Zoe Kincaid Brockman Memorial Award, North Carolina Network Chapbook Prize, Bright Hill Press Chapbook Award, the Brockman-Campbell Poetry Prize, the Bellday Poetry Prize, and the Oscar Arnold Young Award. The state of North Carolina presented Shelby with the 2001 North Carolina Award in Literature, and he was inducted into the North Carolina Literary Hall of Fame. Joseph Bathanti was appointed by Governor Beverly Eaves Perdue in September, 2012 to a two-year term. He is the author of eight books of poetry, four novels, one book of short stories and a collection of essays. East Liberty won the 2001 Carolina Novel Award, Coventry won the Novello Literary Award, and This Metal was nominated for the National Book Award. His other awards include the Spokane Prize, the Will D. Campbell Award for Creative Nonfiction, two literature fellowships from the North Carolina Arts Council, the Samuel Talmadge Ragan Award, the Linda Flowers Prize, the Sherwood Anderson Award; the Barbara Mandigo Kelly Peace Poetry Prize; the Donald Murray Prize; the Ragan-Rubin Award; the Mary Frances Hobson Prize; the Irene Blair Honeycutt Award for Lifetime Achievement in the Literary Arts; and the Rita Dove Award in Poetry. Bathanti is Professor of Creative Writing at Appalachian State University. Cathy Smith Bowers (born 1949) was appointed by Governor Beverly Perdue in 2010. She teaches poetry in the M.F.A. in Creative Writing program at Queens University in Charlotte, teaches at UNC Asheville’s Great Smokies Writing Program, and at Wofford College in Spartanburg, S.C. Smith Bowers is the author of four books of poetry and was the recipient of Queens University’s J.B. Fuqua Distinguished Educator Award in 2002 and the Gilbert-Chappell Distinguished Poet Award given by the North Carolina Poetry Society in 2006 and 2007. She lives in Tryon. Kathryn Stripling Byer (1944 -2017) earned her M.F.A. from UNC Greensboro, where she studied with Fred Chappell. Appointed by Governor Mike Easley in 2005, she was the first woman to serve as the state’s poet laureate. Stripling Byer was the recipient of fellowships from the National Endowment for Arts and the N. C. Arts Council, and has served as poet in residence at both Western Carolina University and Lenoir-Rhyne College. She has published six books of poetry and was a recipient of the N.C. Award for Literature in 2001. 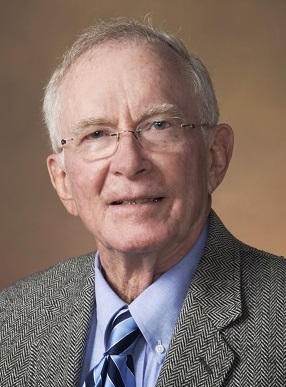 A resident of Cullowhee, Stripling Byer was inducted into the N.C. Literary Hall of Fame in 2012. Canton native Fred Chappell (born 1936) was appointed by Governor Jim Hunt in 1997. Growing up on a rural farm, he earned undergraduate and graduate degrees at Duke University and taught in the department of English at UNC Greensboro for 40 years starting in 1964, where he helped establish its M.F.A. writing program. Chappell is the author of more than two dozen books of poetry, fiction and literary criticism. He received the O. Max Gardner Award, the highest teaching award bestowed by the University of North Carolina system in 1987 and countless other honors, including the N.C. Award for Literature in 1980 and induction into the N.C. Literary Hall of Fame in 2006. Appointed by Governor James B. Hunt in 1982, Samuel Talmadge Ragan (1915-1996) was not only an award-winning poet but also managing and executive editor of the News & Observer (Raleigh) and later, editor and publisher of The Pilot (Southern Pines). Ragan served as the first secretary of the North Carolina Department of Art, Culture, and History (now the Department of Cultural Resources), chaired the North Carolina Arts Council, chaired the North Carolina Writers’ Conference and served as president of the Friends of Weymouth, which operates the Weymouth Center for Arts and Humanities in Southern Pines. He also was among the founders of the North Carolina School of the Arts (now UNC School of the Arts) in Winston-Salem. Although Wilkes County poet James Larkin Pearson (1879-1981) was born in a log cabin and claimed only a year’s worth of formal schooling, he was already an internationally-known poet at the time of his appointment by Governor William B. Umstead in 1953. After working in the newspaper business, Pearson opened a printing press in the basement of his farmhouse, publishing several volumes of his own poetry and two original periodicals,The Fool Killer and The Literary South. Continuing to work on a farm as well as to write poetry, Pearson was literally poet laureate for life, holding the office of until his death at age 102. Only a few weeks before the end of his term in 1948, Governor Gregg Cherry chose Arthur Talmadge Abernethy (1872-1956) to serve as North Carolina’s first poet laureate. He was reappointed in 1949 by incoming Governor William Kerr Scott and remained in the position until 1953. Abernethy was a noted classical scholar as well as a journalist, contributing columns to papers in Milwaukee, Pittsburgh, New York and Philadelphia, as well as The Charlotte Observer. By his own estimate, he wrote more than 50 books and 3,000 poems, although none of his poetry was published in book form.